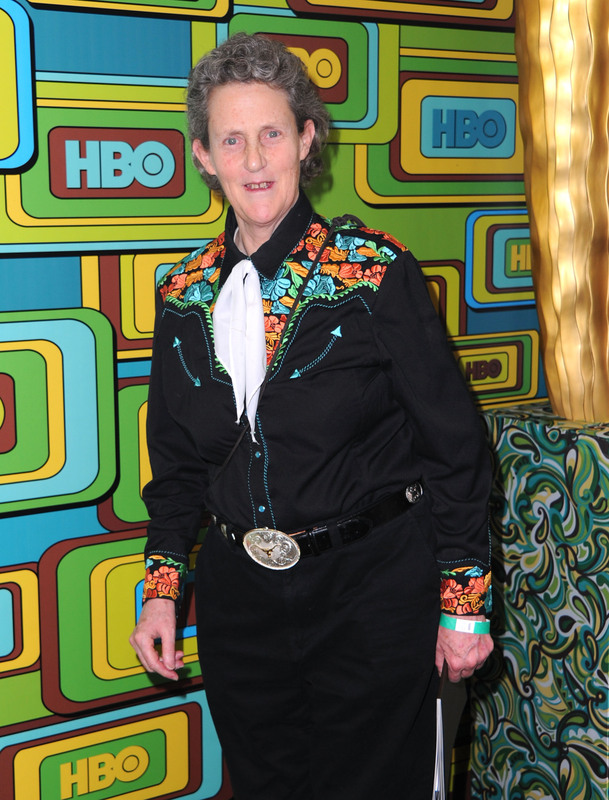 Temple Grandin’s ability to rock elaborately embroidered cowgirl shirts is just the beginning of all that makes her awesome. Born in 1947, Grandin is a Colorado State University professor, a doctor of animal science, bestselling author, inventor, advocate for the ethical treatment of livestock, and autistic activist. In the zoology and engineering communities, she is famous for the more humane cattle processing plant she designed entirely in her head. Herself autistic, Grandin has said that feeling anxious in her surroundings and being teased or feared by others allowed her to relate to cattle and motivated her to make their deaths as peaceful as possible. Her efforts towards this end as a consultant within the livestock industry won her a “Proggy” award from PETA. In 2010 she made the Time 100 “Heroes” category. If that’s not enough for you, girl has her own HBO biopic starring Claire Danes (they both have startlingly bright blue eyes). You’ve got to love her critique of the homogenizing trend in our education system that threatens to leave the potential of so many students completely untapped. Even better, Grandin is not asking the neurotypical world for consideration. She’s bravely asserting her inclusion as a necessity, not a nicety. For anyone who has felt that her identity invalidates her opinions or contributions, it’s good to be reminded that difference is an asset (even when the world acts like it isn’t). Grandin’s recommendation suggests ambition is as important as intellect; that out of fear, we often distract ourselves from trying. No room for that in the mind of Grandin. 3. A woman after my own heart, Grandin stresses the importance of a good cry, which she reports she did many times while working in the male-dominated world of cattle. Anyone who can appreciate the strength and self-knowledge that come with embracing vulnerability (and admit it in the LA Times) is a genius in my book.